Pay What You Want (PWYW) pricing has gotten some attention in the past few years, but most people still view it as naively idealistic, only suited to very special situations. However, a growing body of research and actual usage is suggesting that it has much more potential value than most businesses realize, in a wide range of situations very different from that of Radiohead or a museum. The Freakonomics Blog has paid some attention to this, and the greatest publicity for PWYW since Radiohead has come from the special PWYW preview offer for the Freakonomics movie. 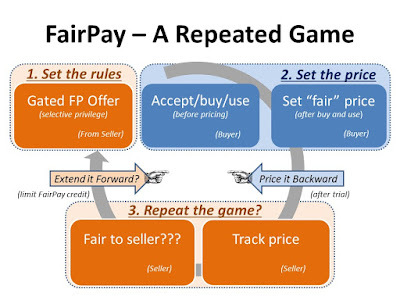 PWYW is of particular interest to me because the FairPay pricing process described on this blog is a radical enhancement of PWYW that adds tracking and consequences to encourage buyers to pay fairly over an extended series of transactions. This encourages what might more accurately be called Pay What You Think Fair, to produce much better revenue and profitability. 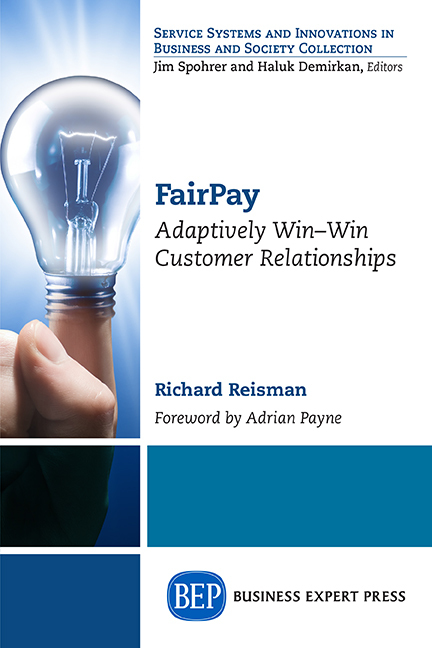 As described elsewhere on this blog and the companion Web site, this model offers many of the advantages of Freemium models, but in a more powerful, individualized, and dynamically adaptable form. ...But the point of this post is that plain vanilla PWYW, alone, is highly underrated. To help make that point, and to encourage research into PWYW, FairPay, and other innovative pricing models, I have posted a Resource Guide to Pricing - Annotated links and references as a survey of this emerging body of exciting research. I suggest that a whole new era in pricing models is just beginning, spurred by the capabilities of the Internet. A nice summary of some of these directions is in the book "Smart Pricing" by Raju and Zhang of the Wharton School, which has illuminating chapters on PWYW and many other innovative models. Two other notable books on pricing are also listed. More specific to PWYW are some eight research papers published in the last two years, all of which find it to be quite effective in a range of situations, explaining a number of reasons why people actually chose to pay, and to pay reasonably well, even when they do not have to. One (the Gneezy paper) also looks at PWYW combined with a share of proceeds to charity, which was found to be particularly effective (and subject of an article on the Discover Magazine blog). Another (the Regner paper) focuses on a very interesting online indie music distributor with a PWYW model (combining a try-before-you-buy feature and a high revenue share with artists, both seen as enhancing payment levels). While many of these papers are theoretical and written for academics, I suggest that business people would do well to give them a look (skipping over the heavy parts, and with just reasonable caution that many of these models and experiments are simplified). I welcome feedback on this resource guide, and suggestions for additions -- it is a work in progress. 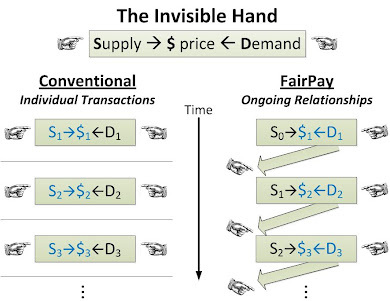 Also sought are researchers interested in doing studies of Fairpay. Note to searchers: PWYW is also known as Pay As You Want (PAYW), Pay What You Wish, Pay What You Like (PWYL), Pay As You Wish, Pay As You Like (PAYL).